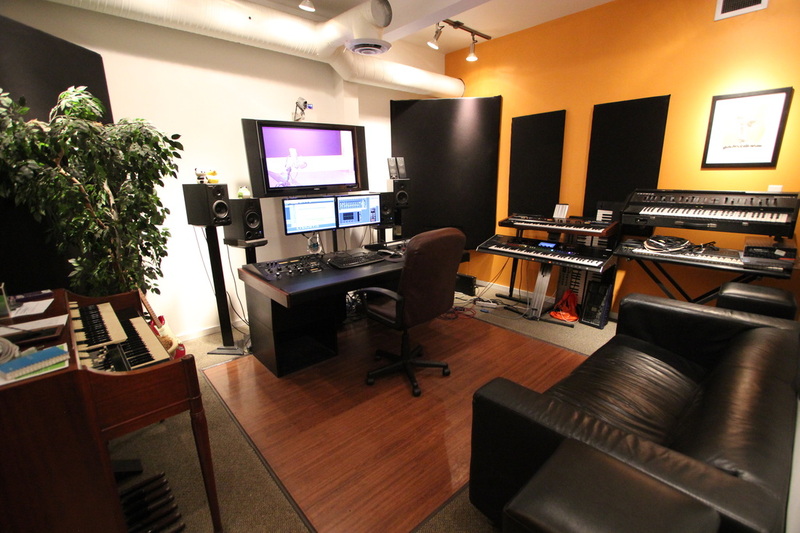 At Creativ Recording & Multimedia Studios we offer a wide range of services. From professional bands, choirs & instrumental ensembles to students, weekend musicians and hobbyists, we can provide with the service and quality that meets your need and budget. We can provide photos, graphic design and CD/DVD duplication services, or assist with online distribution with iTunes or online streaming searvices at a great price with the personal attention your project deserves. The state-of-the-art, professional recording/multimedia studio is no longer over your budget. Give us a call for a free consultation and a tour of our facilities at 604.929.4040. We can help you look and sound great! 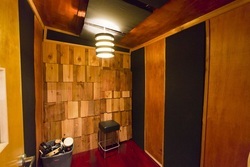 Our new state-of-the-art digital recording facility offers professional results at an affordable price! Virtually unlimited tracks using your favourite DAW with ProTools, Cubase or Logic. Top quality A/D converters by Universal Audio and Atelope and top quality mic/pre-amps such as Vintech, Avalon & API and more. 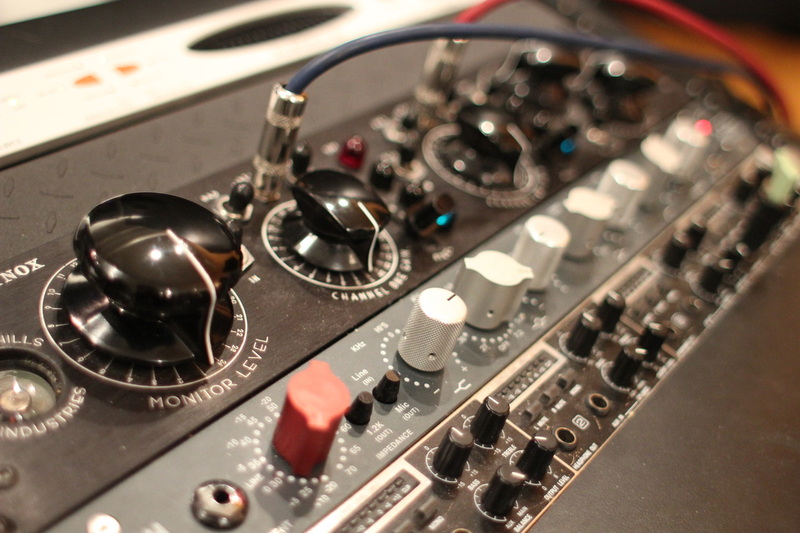 Outboard gear such as the renowned Universal Audio 1176 compressor and a compliment of other processors contribute to giving you that professional sound you're looking for. A full selection of professional microphones by Neumann, Royer, Shure, AKG, Audio Technica, Nady and more, give you the comfort that there's a perfect mic for your application. 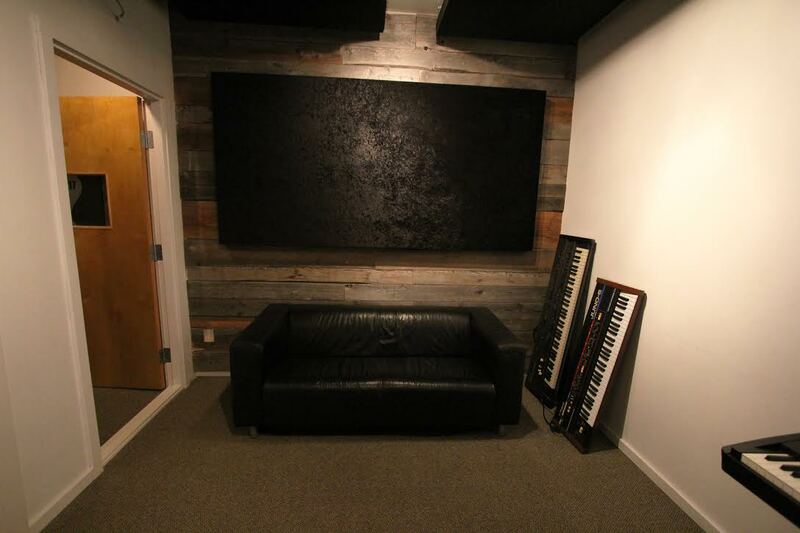 Our large live tracking room boasts impressive 17' ceilings and acoustically treated to get an incredible, natural sound. Whether you want to record your band live off the floor, full choir or instrumental ensemble, we can accommodate. If you have a home studio and you just want to track some of the biggest drum sounds in town, or lay down your vocals using high-end studio microphones, that's no problem. 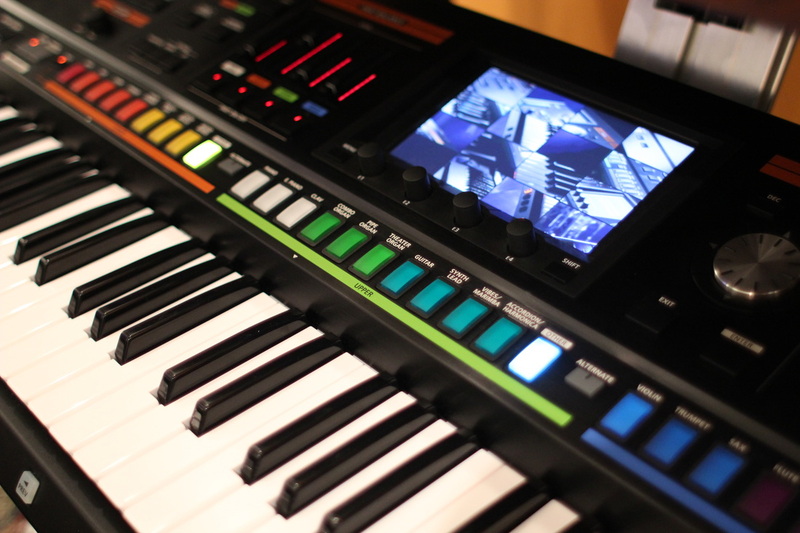 We not only have a huge arsenal of sounds from all the top synths and sound modules, but we also have a selection of VST instruments and a large sample library to access virtually any sounds you like. 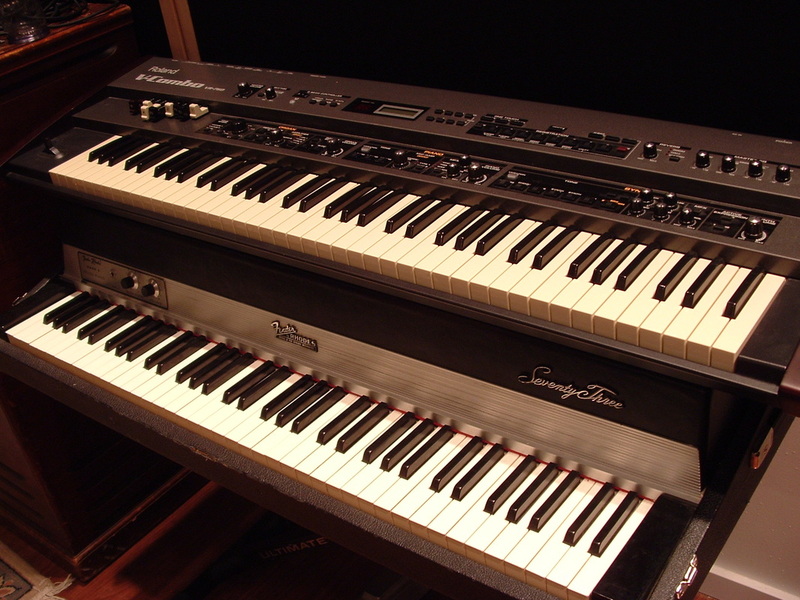 In addition to the cutting edge of technology, we have a variety of vintage instruments and amplifiers including a Rhodes, Wurliter, Leslie cabinet, and a variety of guitar amplifiers both tube and solid state. Our drum storage room is home to 5 different kits, and a selection of various snares, cymbals and percussion to compliment almost any project. 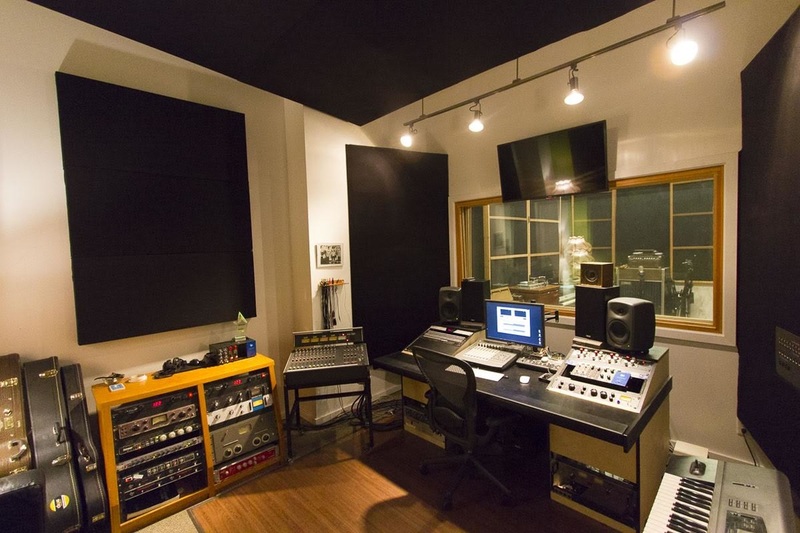 Control Room B is ideal for tracking vocals, overdubs, production, and any audio to video applications. 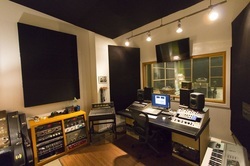 The large monitor can function as a third monitor to the computer for mixing or editing, but it can also be used to visually communicate to the adjacent tracking room, which is also equipped with a monitor and camera. This virtual window can theoretically be used with almost any room in the entire facility. 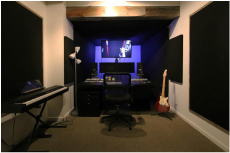 Either control room can be used with any combination of recording rooms to give your project the ultimate in flexibility. The most recent addition is Studio C, which offers a comfortable, and spacious environment for any recording project outfitted with the Universal Audio Apollo i/o and Avalon tube pre amp. 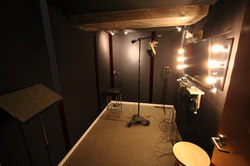 Our isolation booth is ideal for tracking vocals, solo instruments, voice overs or even small groups. 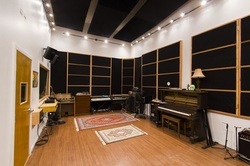 The large monitor and camera allow this room to be utilized by any of the control rooms, or to view the Studio 'A' live room in HD. Our Multimedia Studio is set up to shoot still or video against our green screen, or other backdrops. Full video and editing services for online media, promotion or music videos.